The modern design and colors featured in this template makes it a great fit for aspiring store managers! 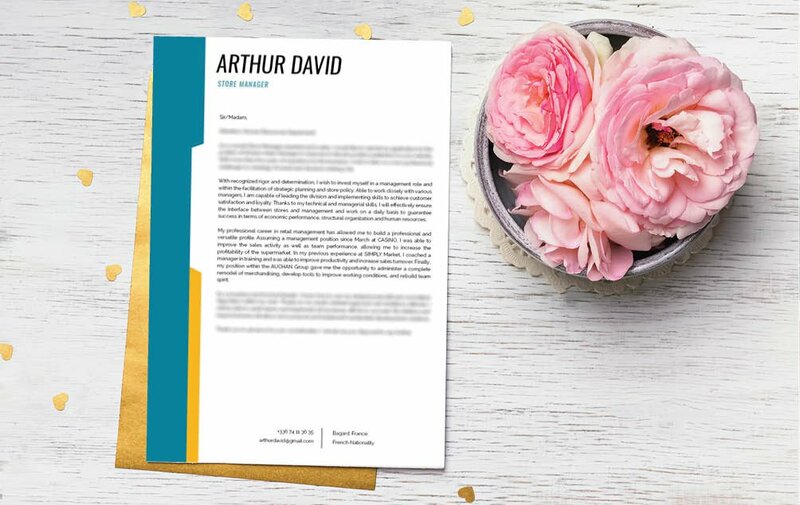 Cover letter to download "Sales-4"
This cover letter template boasts a modern design that features and an excellent selection of colors, texts, and style that perfectly fulfills all your recruiter's needs. 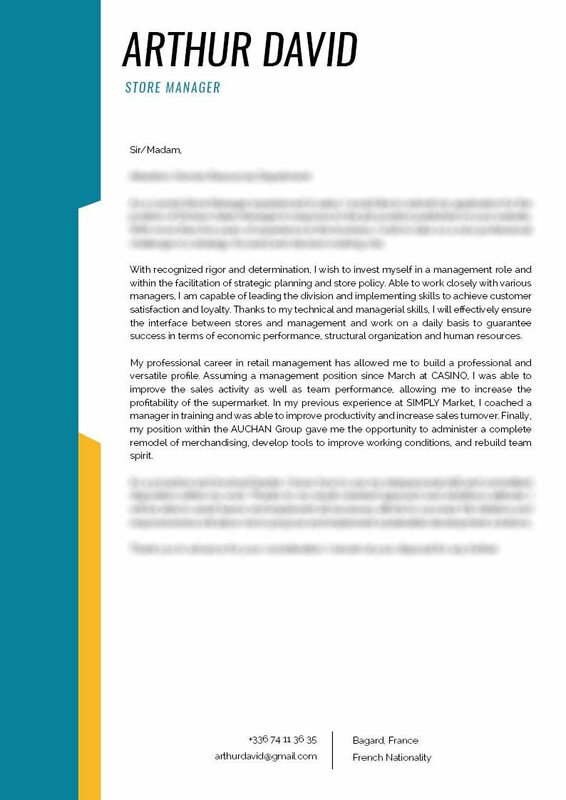 This simple cover letter template is perfectly applicable to applicants seeking a position as a store manager and is especially ideal for you who has a solid set of skills and education as all the important information are clearly presented to your potential employer, which surely increases your chances of landing that job! Make it short, but dense with Information. 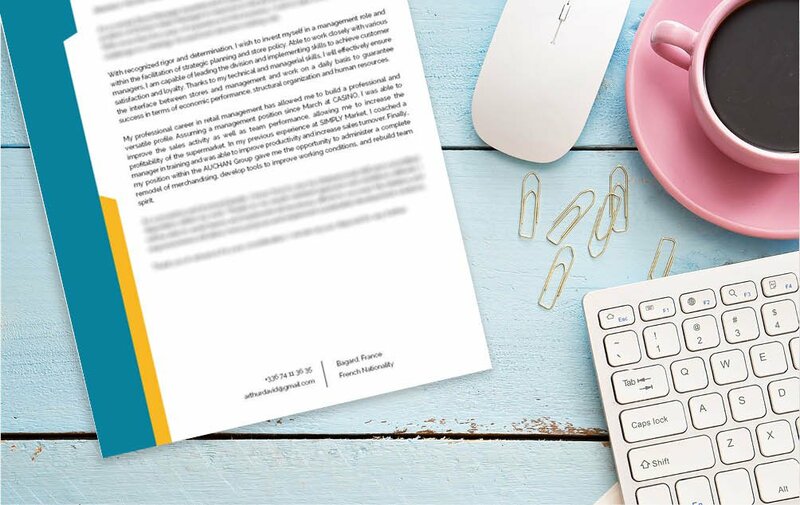 In most cases, what makes a cover letter truly effective is by having a clear and straightforward style of writing. Most readers expect to have a clear thought of your argument (e.g. why you should get hired) in a short amount of text. 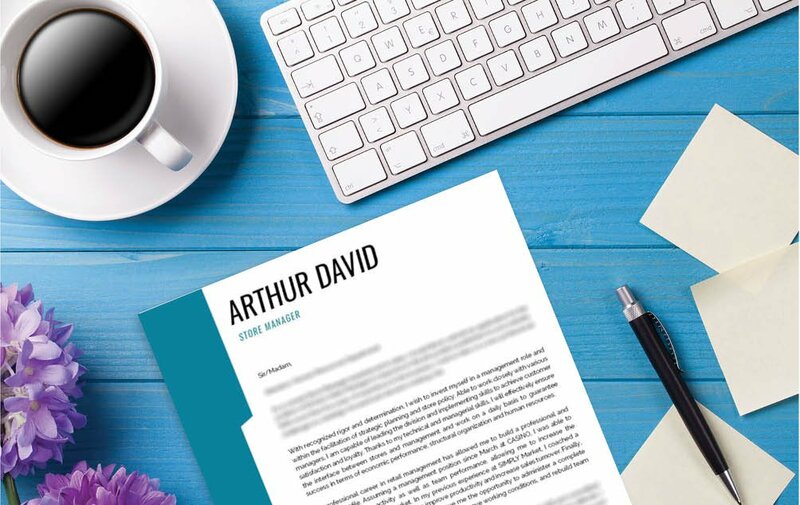 To achieve this, make each section and paragraph of your resume short, but substantive. Break down complex parts into smaller, bite-sized pieces that are easier to read.